ISLAMABAD: The Supreme Court (SC) on Thursday rejected a review petition filed by Pakistan Muslim League-Nawaz (PML-N) leader Hanif Abbasi seeking disqualification of Prime Minister Imran Khan. A bench headed by Chief Justice of Pakistan (CJP) Mian Saqib Nisar heard the review petition against the court’s December 16 verdict wherein the top court had rejected a petition seeking the disqualification of Pakistan Tehreek-e-Insaf (PTI) Chairman Imran Khan but had sent back to the pavilion his party colleague Jahangir Khan Tareen with a life ban, for what the judges ruled was, due to “dishonesty” in his submissions before the court. During the Thursday’s hearing, the bench maintained that “no lawful point has been raised in the petition” that it be reviewed. At the onset of the hearing, the petitioner lawyer told the bench that Imran provided “unverified” and “unacceptable” documents in pieces. To which, the CJP remarked that it is up to the court to decide whether the documents have value and the court is satisfied with them. After Abbasi’s lawyer concluded his arguments, the bench stated that the petition “did not raise any lawful point which should be reviewed”. The petition was then dismissed. Last month, the top court had rejected Hanif Abbasi’s request to form a full bench to hear the review petition. At the last hearing, the chief justice had asked Advocate Akram Shaikh why he had lodged the plea. “On what grounds do you want the full court to hear this petition?” Justice Nisar had asked. Responding to the chief justice, Sheikh had stated that the court had earlier said Imran’s disqualification case did not have ‘strict liability’ but SC’s Panama Papers bench had declared Nawaz Sharif unfit to hold public office in a case that was similar in nature. Abbasi, in his 13-page review petition, has demanded the disqualification of Imran over non-disclosure of his assets and ownership of offshore companies. The petition states that now, since Imran has become the prime minister, the matter is more pertinent for the public. The original petition, filed by Abbasi in November 2016, had sought Tareen and Imran’s disqualification over non-disclosure of their assets and ownership of offshore companies. 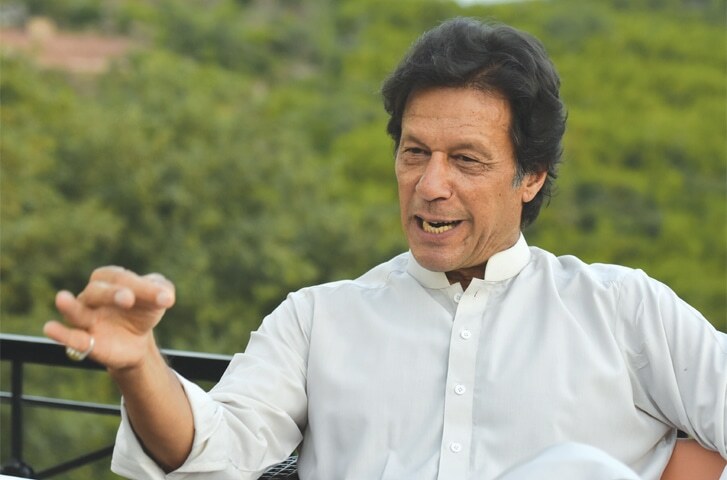 It accused the PTI leaders of not declaring their assets to the Election Commission of Pakistan (ECP) and violations of the lncome Tax Ordinance, 1979, and Peoples Act, 1974. It also claimed that the PTI is a ‘foreign-funded’ party.